We have had a little change this week from our planned Beach topic to looking at bugs and insects. Yesterday we were outside moving logs, using our magnifying glasses to count insect and bug legs. 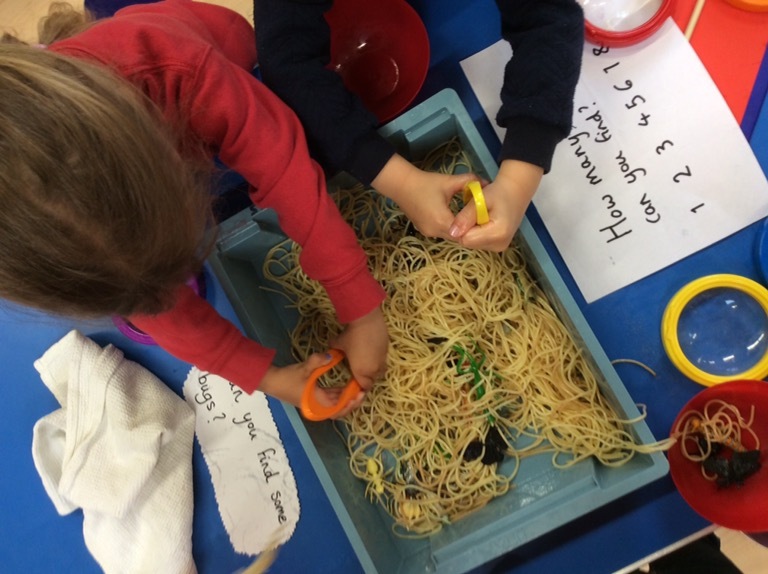 One of our tuff trays was split into sections and we were sorting our plastic bugs according to how many legs they had. We were lucky enough to see a number of bumble bees moving from flower to flower. A group of children stood for quite a while quietly watching them moving around the garden. 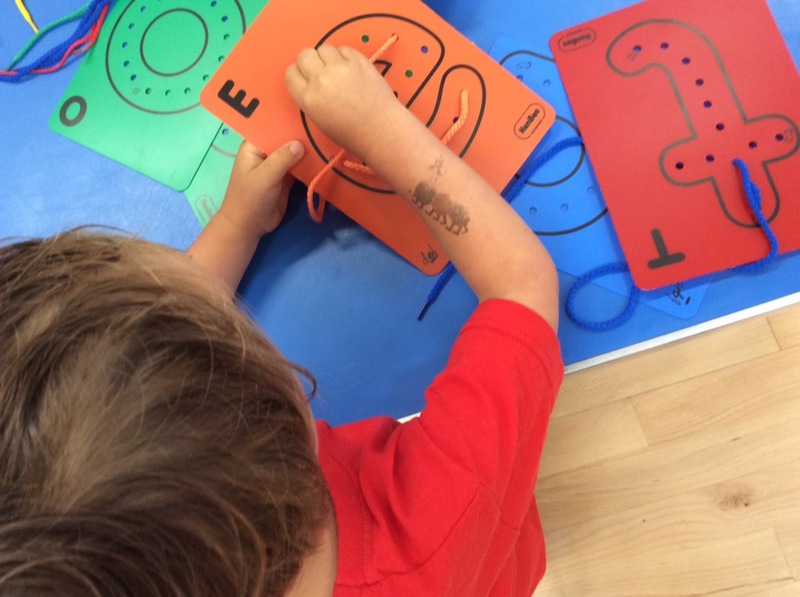 Today we were using the threading letters which are great for not only looking at letters and their form, but also our fine motor skills. 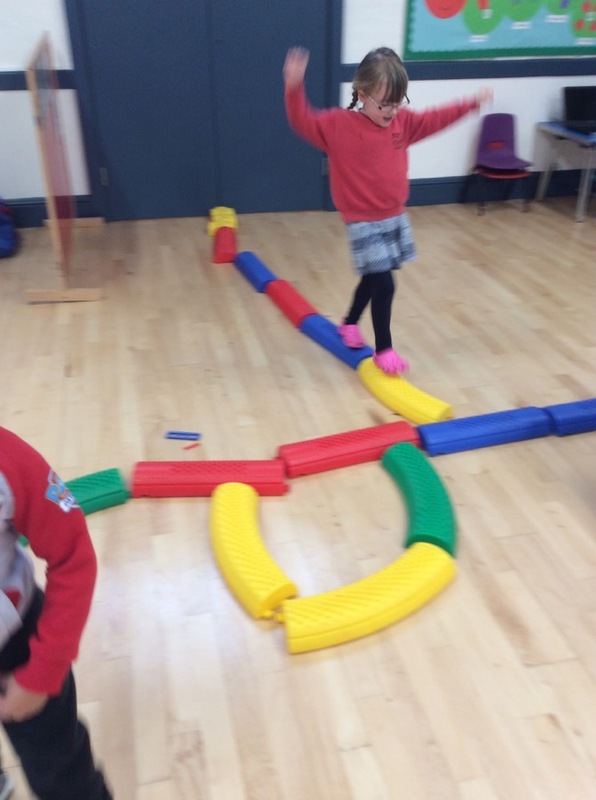 We were also using the balancing bricks to make different paths around the hall. Some were working in pairs supporting each other. Some of the children have a continuing interest in maps and going on treasure hunts. In one of the magazines in the art area someone found a maze game which was all very exciting. 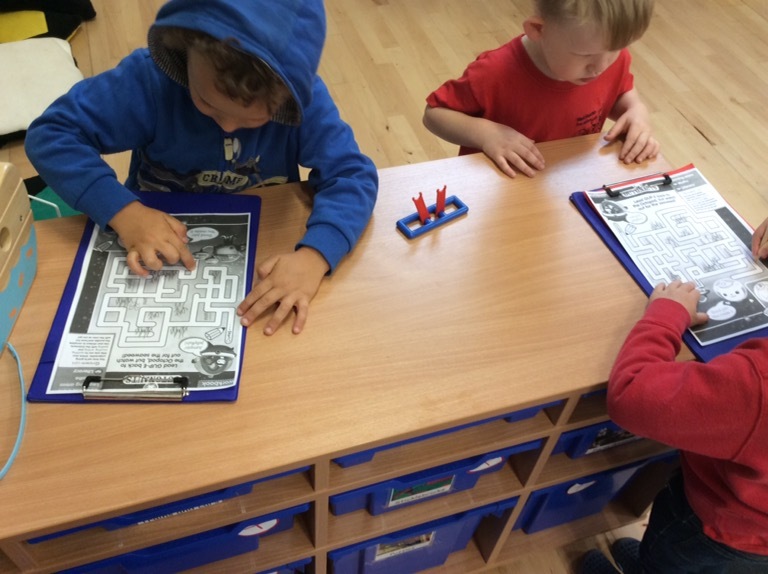 We copied the maze and all the children who were interested could complete the maze themselves. 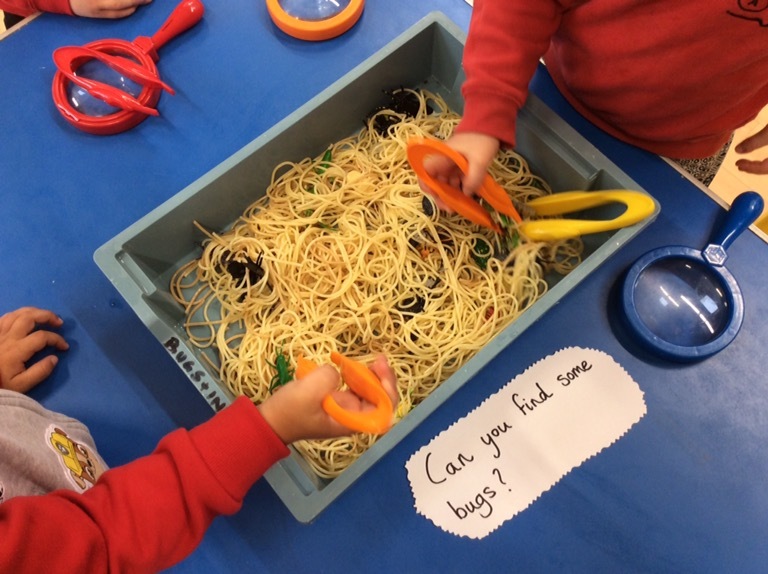 We also filled a tray full of cooked spaghetti and hid more plastic bugs underneath. 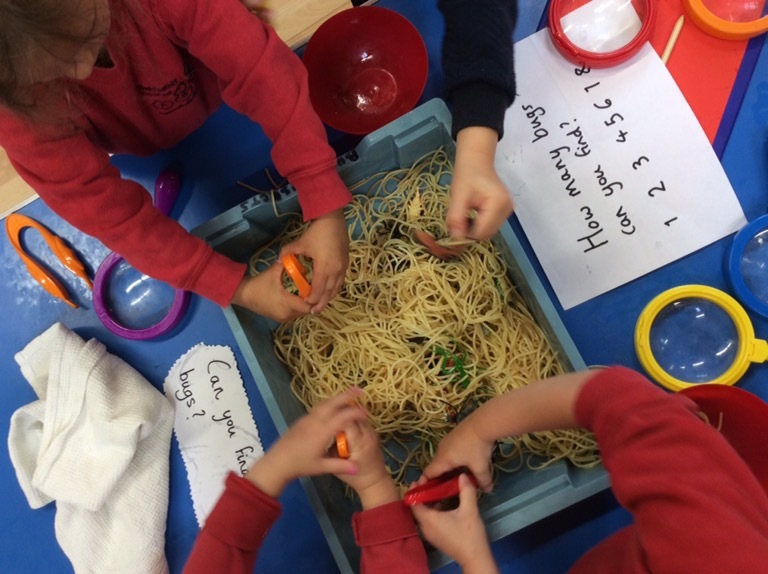 We were asking the children if they could find the bugs using their tweezers, placing them in a bowl and counting out how many they had found. 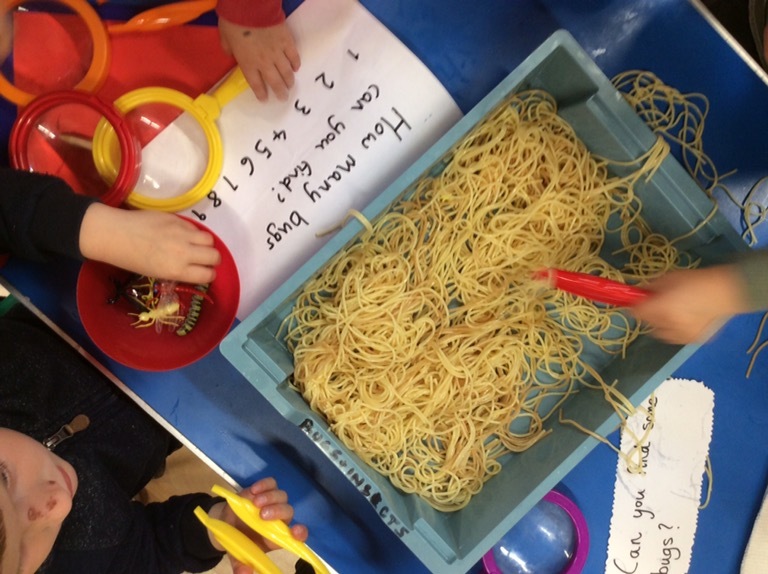 We had great fun finding them, using magnifying glasses and also getting a little sticky in the process.